If you're looking for things to do when the sun's still up, check out our recommendations for the best things to do in Los Angeles. Congratulations: You picked the right time to live in Los Angeles. LA currently has what might just be the best food scene in the whole country, not to mention a killer cocktail scene, so it's understandable if most evenings out are dedicated to working your way down your list of new openings, hotspots, and old favorites to revisit. 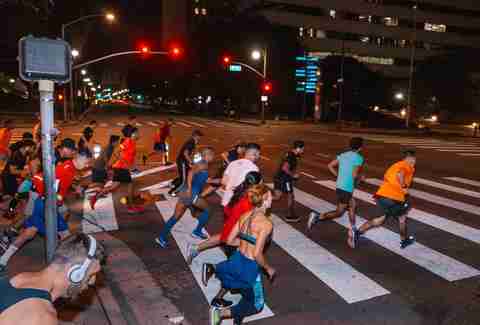 But if you want to shake up your after-dark agenda a bit and are in search of something new and unexpected, LA’s got a whole world of other interesting nightlife options to explore. From studio tours and storytelling sessions to magic and Mexican wrestling, here’s a solid selection of alternative activities to consider for your next night out. We Angelenos love our bright-and-early hikes -- just try to find parking at 8am on a weekend at Runyon Canyon. 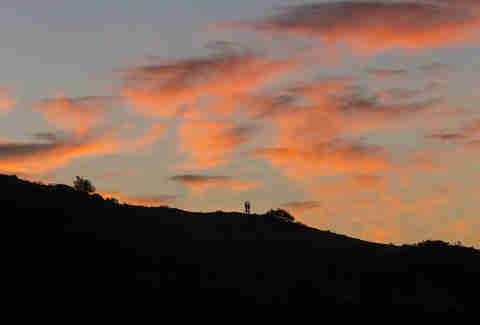 Even if you’re a serious morning person, though, it’s worth giving a post-twilight trek a go; you can make the hike up Griffith Park’s Mt. Hollywood since the park is open to the public until 10pm, or you can hook up with the Sierra Club, which leads two-hour hikes of various skill levels on Tuesday and Thursday evenings at 7pm (as well as a moderate-to-advanced-only hike on Wednesday evenings). Also, check out the group’s 2 1/2-hour Monthly Moonlight hike set for the Friday closest to the full moon, when participants bring snacks for a potluck they take down at the top. After years in the works, Two Bit Circus -- Downtown’s 38,000-square-foot “micro amusement park” -- is up and running, blending cutting-edge technology with old-school arcade and carnival games, to create a wild wonderland of interactive action. Play competition games like Skee-Ball and balloon pop (real ball, virtual balloons) helmed by carnival barkers at The Midway; hunt down a lost treasure or take on supernatural swamp creatures in the virtual reality story rooms; get in on a game show; or grab a drink crafted by a robot bartender. Basically, there’s a ton to do here. Entrance is free, and you pay to play. 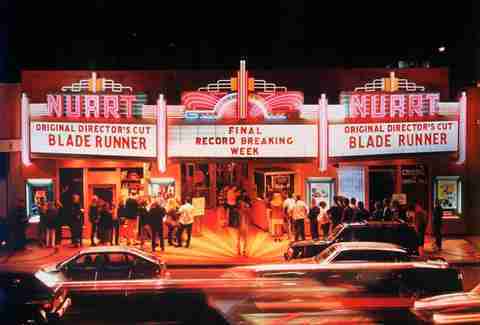 The historic Nuart Theater is already a solid venue for film buffs, screening classics as well as new indie films and documentaries, sometimes accompanied by Q&As with filmmakers and movie subjects (Joan Jett recently performed at a screening of her doc Bad Reputation). You can also settle in for a -- usually -- scary movie screening on Fridays at 11:59pm; the roster of recent flicks has included Halloween, The Hills Have Eyes, and Grease 2... the latter of which is frightening in its own special way. Sixteen years in, Lucha VaVOOM -- a bawdy blend of Mexican masked wrestling, burlesque performances, and raunchy comedy -- still delivers a debaucherously good time. Organizers procure wild and wacky acts from around the world adept at everything from roller derby to stripteases to aerial acrobatics, along with those legendary Lucha Libre wrestling matches. The LA-based show travels the globe much of the year, but comes home to DTLA’s historic Mayan Theater several times a year -- so keep an eye out for performances around Valentine’s Day, Cinco de Mayo, mid-summer, and the upcoming Halloween events taking place this year on October 24 and 25. Tickets run from $40 to $75. 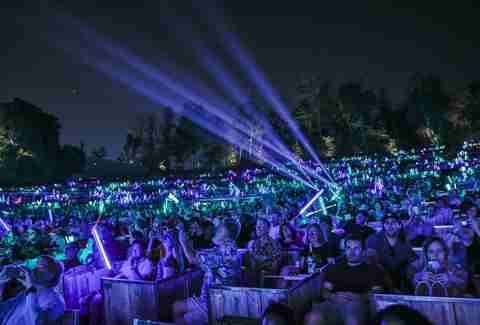 Few amphitheaters are more magical than The Hollywood Bowl nestled in the Hollywood Hills. Yes, getting in and out is never fun, but once you get there as the sun is setting, indulge in a gourmet picnic and a few bottles of wine, and then catch an amazing act, you’ll have forgotten all about that LA traffic... until it’s time to head home, at least. Though the Bowl is synonymous with summer around here, the season actually runs through October, when, this year, you can see shows by Arctic Monkeys, Ozzy Osbourne, Willie Nelson, and Danny Elfman singing live to The Nightmare Before Christmas backed by a live orchestra. 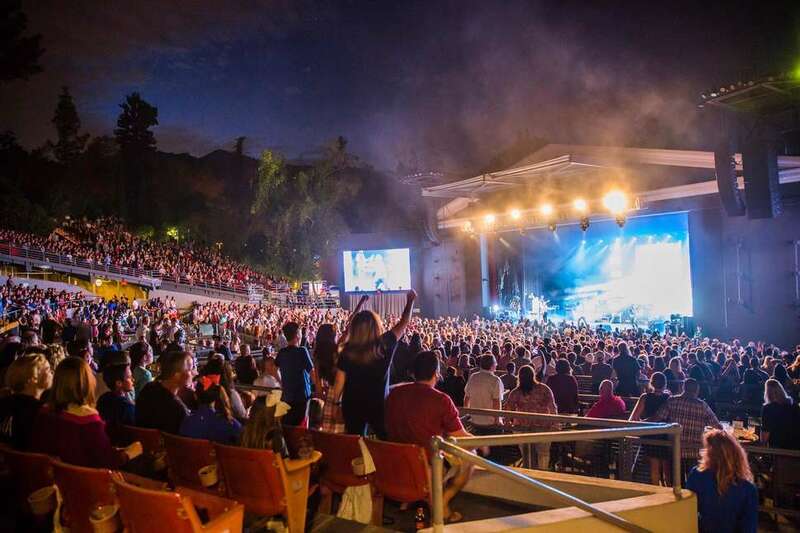 The more intimate Greek Theatre stays open in October too, with performances by 5 Seconds of Summer, Culture Club, and Will Ferrell’s Best Night of Your Life, featuring comic heavyweights like Jerry Seinfeld, James Corden, Conan O’Brien, and Samantha Bee. If you’re one of those people who can totally transcend cocktail party fodder with an actual entertaining story that warrants gasps and guffaws, you just might want to try spilling your guts to a real audience at one of the open mic StorySLAM sessions held weekly around the city, as part of long-running series The Moth. Not into public speaking? Simply buy a ticket and watch as a slew of storytellers get five minutes each, telling tales centered around a single theme ranging from fear to scandal to joy. For the cream of the story crop, check out GrandSLAM events, where StorySLAM winners compete against each other, along with curated MAINstage events where performers are handpicked ahead of time. Venues, dates, and pricing vary, but you can buy tickets online. The legendary Magic Castle is, sleight-of-hands-down, one of the coolest venues in LA. You’re inside an old Victorian mansion stuffed with antiques and artifacts, and there’s entertainment lurking around every corner -- from a ghost taking requests on the piano to Houdini séances to roving magicians blowing your mind with card tricks while you’re waiting for your martini at one of the many, many groovy bars. Then, there are the wow-worthy scheduled shows that take place in various spaces around the castle all night long. Here’s the catch (because of course, there is a catch): The Magic Castle is a private clubhouse for members of The Academy of Magical Arts, so you can only visit as the guest of a member. Before you insist you don’t know a single real-life magician, though, start asking friends and friends of friends now. You’d be surprised how often someone like Blake in accounting’s husband’s childhood friend can totally get you in. Also note that you’ll have to splurge on dinner in the restaurant before they’ll let you loose in the castle. Just eat quickly. Yes, you’ve got your go-to pasta dish and those special burgers you grill every Fourth of July, but wouldn’t it be great to have something a bit more impressive in your repertoire? Hipcooks’ hands-on cooking classes focus heavily on multicultural cuisines so you can take on Thai, master Moroccan, and slay sushi depending on what you’re into. The format is casual, the teachers are laid-back, and each session is paired with wine, beer, or cocktails and ends with you getting to eat what you made (we’re imagining hangry chaos ensuing if that wasn’t the case). 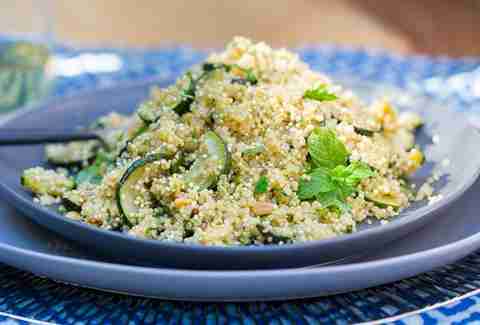 Note those with dietary restrictions can be accommodated in some classes if you let them know ahead of time. Most classes at the three locations are $70 a person. One Saturday a month the Griffith Observatory, which sits on the south side of Mount Hollywood, hosts a free public star party where you can try out a gaggle of telescopes and peer at the sun, moon, planets, stars, and other celestial stuff out in the universe. In case you're not an astronomer yourself, volunteers from smart-people clubs Los Angeles Astronomical Society, the Los Angeles Sidewalk Astronomers, and The Planetary Society will be on hand to answer questions. 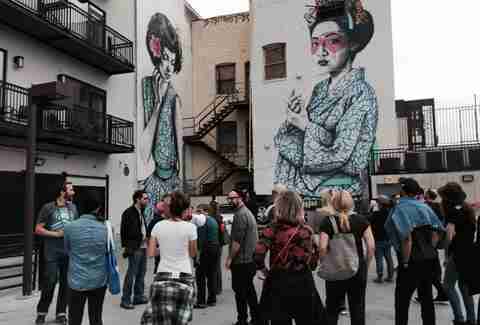 While monthly events like this one are often summer-only or have morphed into food truck-line-fueled sidewalk gridlock (we’re looking at you, Abbot Kinney), DTLA’s Art Walk takes place on the second Thursday evening of the month all year long. In addition to more than two dozen galleries and artist’s studios open late, the event often includes pop-up shops, activities, and live entertainment. Hit up the Art Walk Lounge -- currently located at The Last Bookstore (worth a separate visit if you haven’t been) for maps and info about what’s going on that night. Unlike the daytime tour led by a cheery page taking guests through the New York City backlot (complete with bodegas and brownstones just like the real New York! ), the After Dark Tour focuses on scandals and mysteries, makes a trip through the adjacent Hollywood Forever Cemetery, and includes Champagne, popcorn, and movie candy -- our favorite combo. Those looking to buy tickets for tours taking place between now and November 3 (Thursday-Saturday evenings only) will get a somewhat spookier seasonal “Tales from the Other Side” version. The less Halloweeny After Dark studio tour returns in December. Tours are $99 a person.